Adeline Rohrback and Rodrigo's Bianca won the 1.30m Grand Prix sponsored by Marshall & Sterling. Photo Chicago Equestrian. 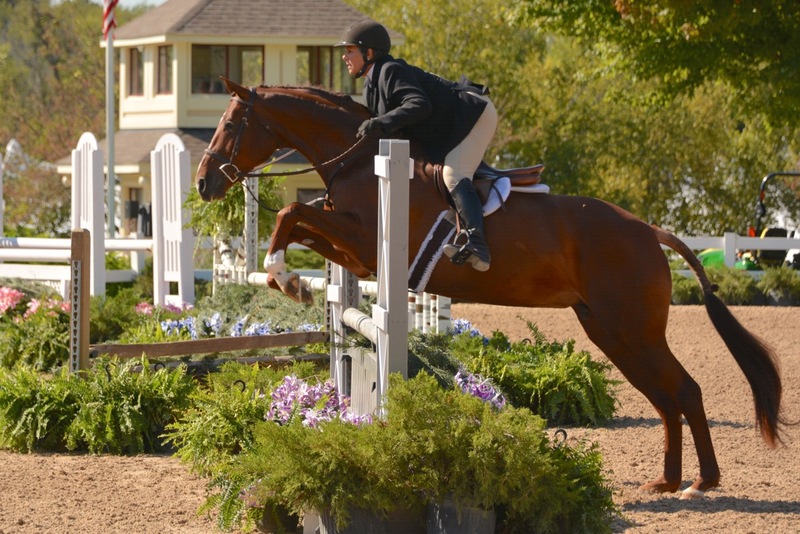 Wayne, IL – September 16, 2016 – Showplace Productions and Show Manager, Patrick Boyle, kicked off the Showplace Fall Classic Championship Horse Show, which hosts the USHJA Zone V Championships and the Illinois Hunter Jumper Association (IHJA) “A” Medal Finals. The championship week includes the Marshall & Sterling (M&S) Midwest Finals and the final class of the $150,000 M&S 1.30m Grand Prix Series at Lamplight Equestrian Center. The premier Midwest show began with action in the Grand Prix ring and the $10,000 Open Welcome Stake. Setting the pace in usual speedy Chicago style, Lisa Goldman, Hawthorn Woods, Illinois, and her hometown favorite, Morocco, were the fastest clear round in the jump off for the win. Goldman was on a roll, taking second with Hindsight, back from the European tour, and third with Sovereign, owned by Barbara Disko. Doug Boyd of Mettawa, Illinois, and Bentley III captured fourth place. Lisa Goldman won the Open Welcome Stake on Morocco. Photo Chicago Equestrian. 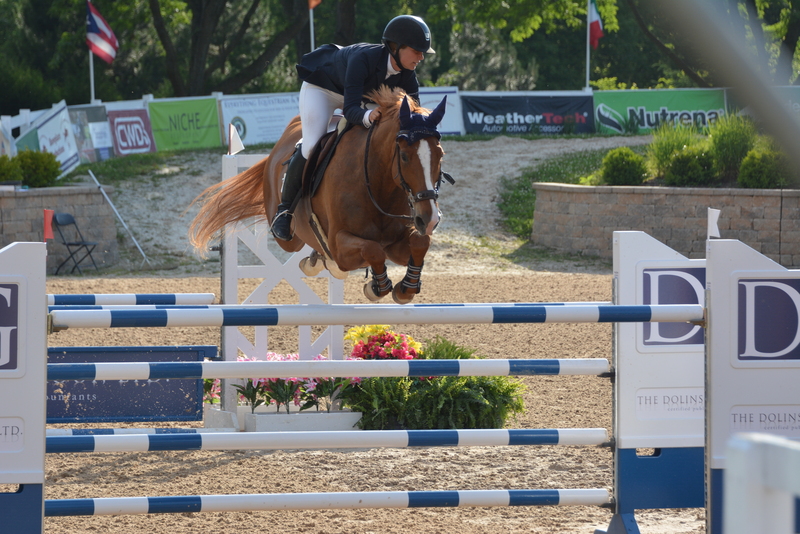 The Grand Prix ring continued on Thursday with the Young Jumper championships. Maggie Jayne and Marilyn Heaton’s Macintosh took the win in the 5-year-olds and Taylor Flury of AliBoo Farm, took home the tri-color in the combined 6/7-year-olds with Belle Zoe De Revel owned by Halcyon Hill, LLC. 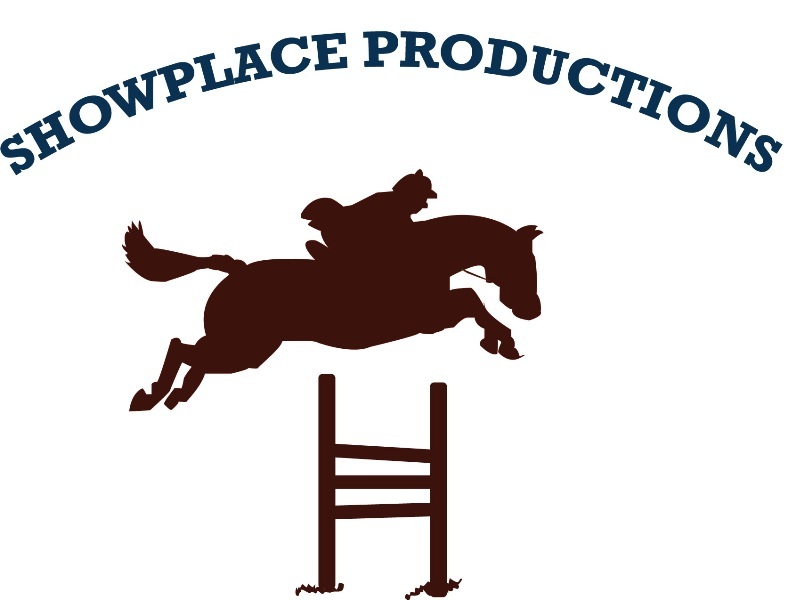 Showplace Productions offers free entry fees for some of the young jumper classes throughout the year, offering professionals an affordable place to bring along young horses. Following the young jumpers was the highly anticipated $25,000 1.30m Grand Prix, sponsored by Marshall & Sterling and presented by CWD and Devoucoux. The popular Grand Prix series began in May and concludes this week with a $10,000 Showplace Leading Horse & Rider Bonus. The Leading Trainer in the series receives a $5,000 gift voucher from Devoucoux and the Leading Rider receives a CWD Saddle. Catching some finals points were Adeline Rohrbach, 18, and her Rodrigo’s Bianca, stopping the clock at 32.126 in the jump off for the coveted blue ribbon. Rohrback rides with Lisa and Mary Goldman and is a freshman at Northwestern University majoring in math. She participated in several classes in the series this summer. Doug Boyd and Calvigo finished in second place in the 1.30m Grand Prix. Photo Chicago Equestrian. Doug Boyd and Calvigo were just tenths of a second behind with a time of 32.316 for second place and Goldman took third on Hannah Bilton’s Chasinta. The series awards will be presented on Saturday after the $25,000 Showplace Grand Prix. 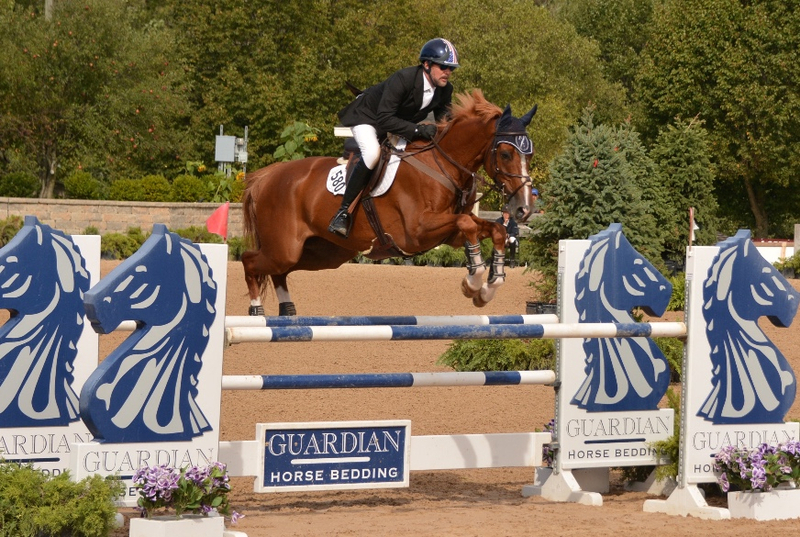 Doug Boyd won the $5,000 USHJA National Hunter Derby on Calido's Son. Photo Chicago Equestrian. The Grand Prix ring wasn’t the only place to find fast paced competition on the grounds. 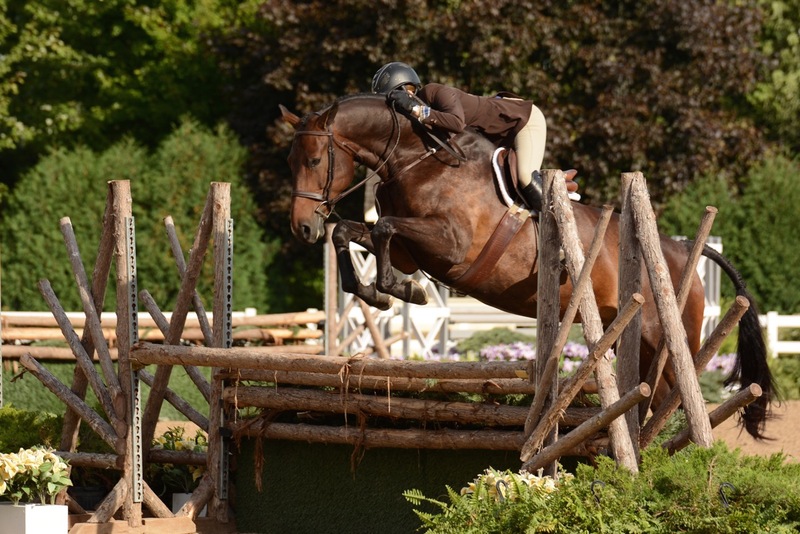 The Wisconsin Equine main hunter ring held the $5,000 USHJA National Hunter Derby, sponsored by Sapphire Riding Academy. Fresh off of the win from the Chicago Hunter Derby, Boyd scored an 89 in the first round with Calido’s Son, owned by Mimi Rothman. Lorrie Canady with Salina K, owned by Lisa Campbell, and Alex Pielet with Bull Run’s Rubicon, owned by Four Fillies, LLC, both scored an 84, falling in the ranks behind Boyd. 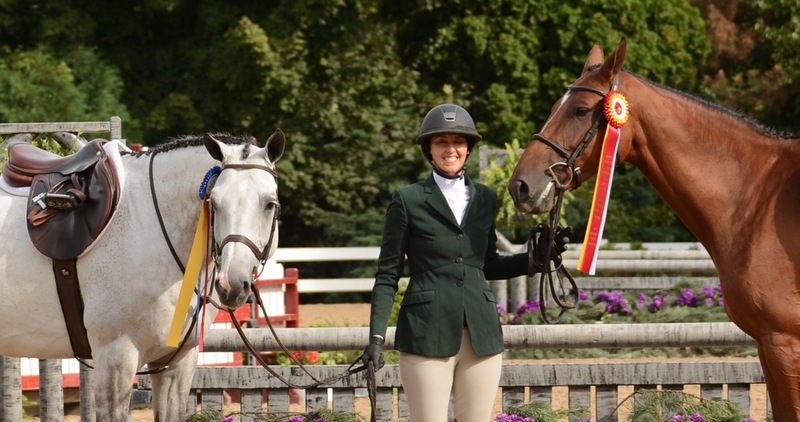 Lorrie Canady and Salina K took second in the USHJA National Hunter Derby. Photo Chicago Equestrian. In the handy, McAdow and Barina turned up the heat scoring an 89, the highest handy score, moving her up the ranks. Canady put in a round with a great gallop and handy turns, but no high options, landing an 83. Her total score of 167 fell just 2 points short of Boyd’s 169, leaving Calido’s Son with another derby win and Canady with Salina K in second. Pielet finished in third with Molly McAdow and Barina rounded out the top four. Color Pearlz and Maggie Jayne. Photo Chicago Equestrian. Color Pearlz, owned by Matt Yeterian and ridden by Maggie Jayne earned the First Year Green Hunter Championship, winning three of the classes in the division. Leslie Richmond’s The Boy Friend took the Reserve Championship with Alexis Tantimonico-Bifano riding. Claas Clever and Molly McAdow. Photo Chicago Equestrian. The Champion in the Performance Working Hunters was Claas Clever owned by Mary Beth Canfield and ridden by Molly McAdow. Boyd and Calido’s Son took the reserve championship to add to their lengthy resume. 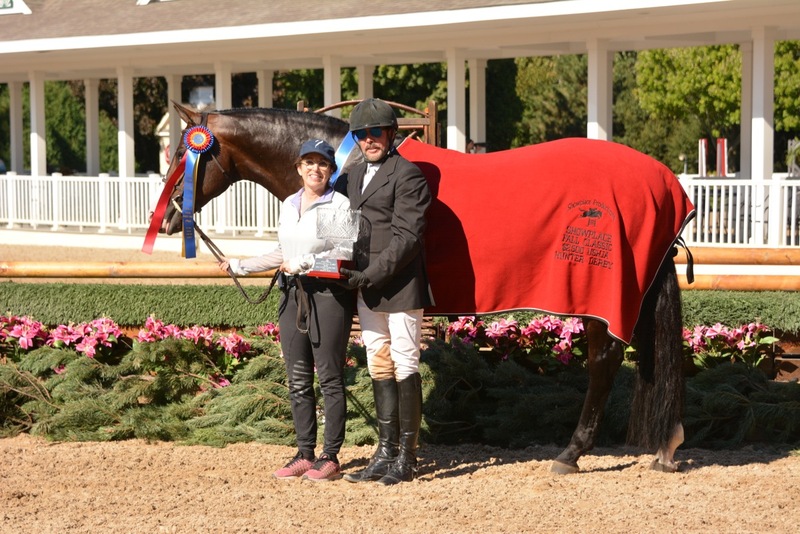 Rebecca Price’s Diamant d’Heure ABF won the tri-color in the Pre-Green Working Hunters with Meagan Murray riding and Molly McAdow with Beachin’, owned by Maddie Fisher, took the Reserve Championship. Molly McAdow won the Pre-Green Challenge on Caracas and was second on Beachin'. Photo Chicago Equestrian. McAdow took both first and second in the Pre-Green Hunter Challenge with Catharon Miller’s Caracas and Maddie Fisher's Beachin’ respectively. Bel Ami, owned by Lauren Robishaw won the Pre-Green Incentive Stake with Ashleen Lee. The Showplace Fall Championship will continue with the $5,000 High Junior/Amateur SJHOF Jumper Classic and the M&S Junior/Amateur Medal Finals on Friday. 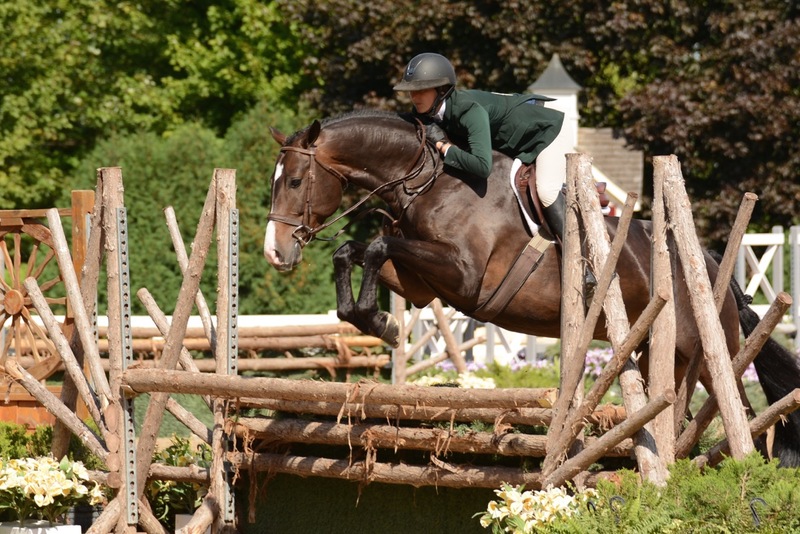 Saturday features the $25,000 Showplace Grand Prix and more M&S finals. On Sunday, the Grand Prix ring is reserved for the coveted IHJA Medal Finals. The show is taking place at Lamplight Equestrian Center for the final time since it will be hosted at Hits Balmoral Park in Crete, Illinois in 2017. For a complete list of results and more information on Hits Balmoral Park, visit www.showplaceproductions.com.